Post estimates that by 2023, Amazon Business growth can reach gross merchandise volume (GMV) of $33.7 billion, including both third-party and first-party sales. He suggests that this would give Amazon Business revenue of approximately $16.1 billion. At its current trajectory, Amazon Business is projected to claim 10% of the addressable US market for B2B eCommerce and 5% of the international market by 2021. That’s an impressive feat in a highly fragmented industry, not to mention Amazon must overcome the challenge that many verticals in B2B continue to operate with significant offline sales. However, these predictions rely on the competitive environment remaining more or less the same. There are currently no real multiple-vertical B2B marketplace challengers. While there are single-vertical B2B marketplace startups, such as Iron Planet that sells heavy construction equipment and trucks, few have the resources and connections to truly challenge Amazon. 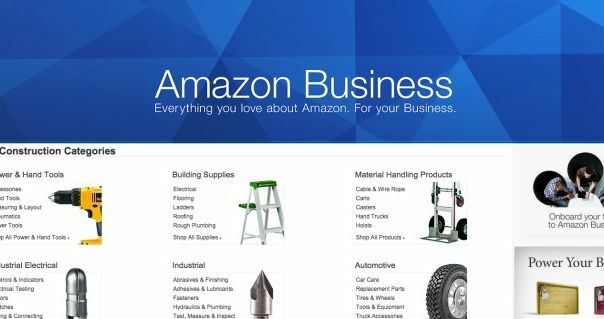 However, it is unlikely that Amazon Business’s growth will remain unchallenged. We expect traditional B2B distributors to build or buy their own B2B marketplaces, and soon. New B2B marketplace can best position themselves by carefully studying Amazon’s marketplace for patterns in its growth, gaps in its offering, and industries it’s struggling to gain traction in. In 2017 we launched our Amazon Marketplace Tracker to determine in which verticals Amazon Business was growing quickest. Last year, we used the data we gathered to predict that Amazon Business had reached $10 billion GMV several months before Amazon announced it publicly. To track Amazon Business’s recent growth, we compared our 2018 data comparing what we saw in 2017. Looking at the data, it’s clear that while Amazon Business is growing quickly, not all verticals are growing equally. For example, the number of sellers in automotive, the third largest category, grew by only 7.8% in 2018. Meanwhile, the smallest category by number of sellers, raw materials, grew by 27.6%. The data suggests that Amazon Business is aggressively expanding into several new categories, but it also is still struggling with some industries, most notably those that have many products that are bulkier and harder to ship or that require significant integration between distributor and manufacturer. We will publish a more detailed analysis of our data on Amazon Business’s 2018 growth in a white paper due to be released in the coming weeks. The paper not only outlines how Amazon Business has grown, but it also provides a playbook for how B2B distributors can thrive in an industry increasingly challenged by a large Amazon Business marketplace.